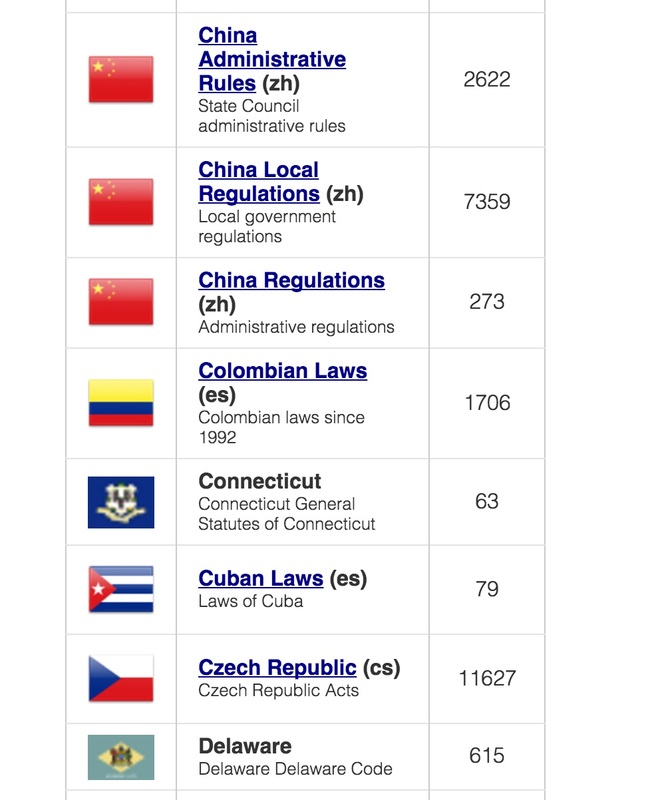 You can read translations of over 750,000 foreign laws using Global-Regulation.com. Just search for the the phrase and click a law from a non-English jurisdiction. A machine translation of the law will be shown on screen and you can click through to see the law in the original language. If you go to our coverage page you’ll see a list of our data sources. The bracketed codes to the right of the region title are the ISO codes for the language. The screenshot to the left shows a few examples of this. Note that “zh” is Mandarin, “es” is Spanish and “cs” is Czech. As of mid-October, 2016 we have over 25 languages translated to English.